Tokyo, Kyoto, Hiroshim and Osaka. Arrive Tokyo in late afternoon for a stay of five nights. Today visit the Western part of Tokyo by visiting Harajuku’s famous Takeshita-dori for the local teen fashions, toy shops, sweet shops, Japanese coffee shops and trendy boutiques etc. This is an introduction to the modern Japan. Afterwards walk to the famous Omotesando upmarket shopping district, then Shibuya (Shibuya crossing) with shops, department stores and restaurants in time for your lunch. After lunch heads back to Harajuku for the 2 pm visit to Meiji-jingu. There is a daily ceremonial activity. Next visit the Nezu Jinja for its beautiful shrine, courtyard and red 'torii' gates. If there is time visit Shinobazu pond in Uneo park for a late afternoon stroll. This morning visit central Tokyo's Tsukigi fish market between 07:00 – 09:00 if you wish. Afterwards walk around Ginza visiting Tsukiji Hongwanji Temple. Afterwards stroll to the Imperial Palace gardens (closed on Mondays). 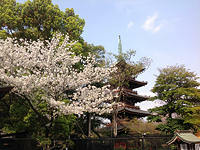 After lunch visit different areas of Uneo park such as five storey pagoda, Kaneiji Temple and the Yanesen old town. Evening shopping and eating in Shimbashi. Day trip to Nikko to visit Toshogu Shrine & Rimnoji Temple. 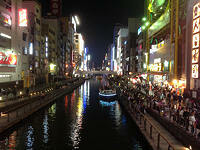 Evening visit the Shinjuku night life district for shopping, drinking, restaurants or robot show. This morning visit Akihabara, known as electric city, for everything related to electronics, gadgets, and anime/manga. In the afternoon visit Sensoji Temple and the arcades of shops and restaurants nearby. By Bullet train to Kyoto for a three night stay. 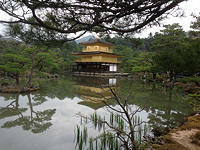 In the afternoon visit two beautiful temples: Chion-in and Shoren-in. Take an after-dinner stroll along the atmospheric streets of Gion along the Shirakawa canal and 17th century old houses, traditional restaurants and tea houses lit up with lanterns. This morning visit Kinkaku-Ji (Golden pavilion) & Ryoan-Ji (Zen gardens), then Nijo-Jo castle onward to Nishiki market for shopping and lunch. After lunch, visit Fushimi Inari Taisha. The most stunning feature in this shrine is the endless arcade of vermilion torii spread across the path uphill through the woodland. 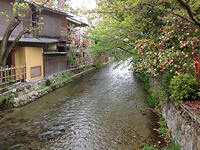 Today visit Kennin-ji, Ninen-zaka & Samen-zaka areas and Kiyomizu-dera. 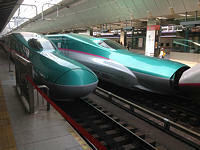 By bullet train to Hiroshima to stay for 2 nights. In the afternoon visit the Peace Memorial Museum & Park area commemorating the Atomic bomb event in 1945. Afterwards, if time allows, visit beautiful Shukkei-en gardens. 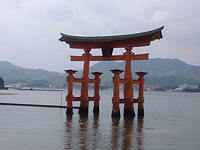 Today take a day trip to visit Miyajima Island, the famous Tori gate standing in the water and the Misen mountain. By bullet train to Osaka to stay for 3 nights. Take an afternoon visit to Osaka castle and in the evening visit Shinsaibashi & Dotonbori shopping district for dining & shopping. By train to Himeji to visit UNESCO heritage Himeji Castle for a day trip. By train day trip to Nara visiting Todai-ji, Nigatsu-do & Sangatsu-do, Kasuga Taisha and the five storey pagoda etc. Last day for shopping and eating in Dotombori, Doguya-suji arcade etc. until return flight to UK in the evening. Return international flights from UK to Japan 14 day Japan Rail Pass Hotel accommodation with daily breakfast Travel information in Japanese cities listed on itinerary. Service charges, rooms tax and handling fee. Tour guide may be engaged for each day in any city at additional cost.